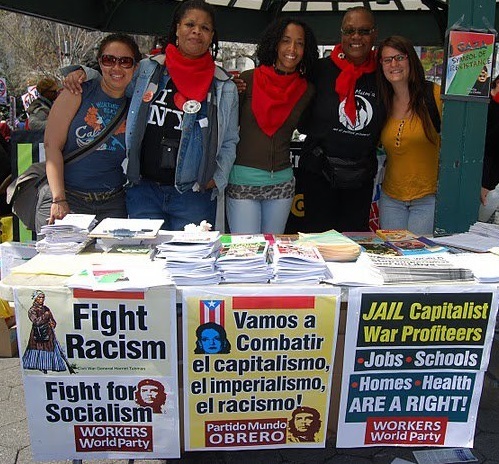 Oakland, Calif. — Activists from Occupy Oakland, longshore and postal workers, and anti-police brutality, immigrant rights and antiwar movements gathered here for a Workers World Party forum on July 8. 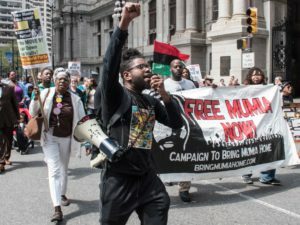 They discussed U.S. threats against Syria, the organizing behind New York City’s May 1st march by immigrants, Occupy Wall Street and unions, and the International Longshore and Warehouse Union’s deep connection with African-American and other communities and its relationship with Occupy. Sara Flounders, WWP Secretariat member and International Action Center codirector, exposed how the U.S. has backed opposition Syrians and outright mercenaries carrying out violence against the Syrian people and government. She also discussed the imperialist media’s warmongering, based on hypocritical “responsibility to protect” excuses, and Washington’s long-term strategy of launching endless, unwinnable wars solely to profit from destruction and to disrupt resistance to its global hegemony. Flounders quoted the so-called Syrian opposition’s own stated plans to “open Syria to the West,” end Syria’s close relationships with Iran and the Lebanese and Palestinian peoples, and align Syria with the region’s reactionary regimes. Teresa Gutierrez, WWP Secretariat member and co-coordinator of the New York City’s May 1st Coalition for Worker and Immigrant Rights, spoke of the “four-by-four” effort that forged an alliance among the May 1st Coalition, unions, Occupy Wall Street and immigrants in one of the country’s most multinational cities. She described how during this effort, the groups debated whether or not calling for a general strike was appropriate, why a permit was needed for a march that included undocumented workers, and police repression against Occupy activists. 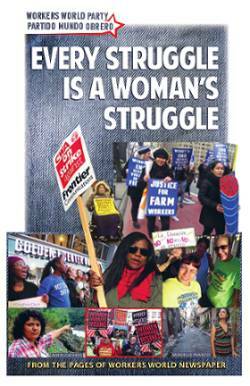 Thanks to these efforts 50,000 people marched on May Day in New York. Clarence Thomas, ILWU Local 10 Coastwide Caucus and Convention Delegate and Million Worker March Movement co-chair, spoke to the history of the ILWU’s port shutdowns — against the Iraq war, in solidarity with Palestine, against the police murder of Oscar Grant and in solidarity with Occupy. Thomas said reclaiming May Day was a victory, a “winning back of consciousness” by workers in the U.S., begun by immigrants in 2006 but now accepted by many union activists and by Occupy. Thomas emphasized how “shutting down Wall Street on the waterfront,” as expressed in West Coast Occupy literature, was a powerful step up from general mass marches in the streets. 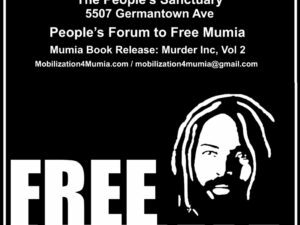 The discussion included racist police killings — “the war at home” — and the upcoming “March on Wall Street South” in Charlotte, N.C. Flounders observed that perhaps Occupy’s greatest gift has been to reintroduce a class perspective with their exposure of the 1%.